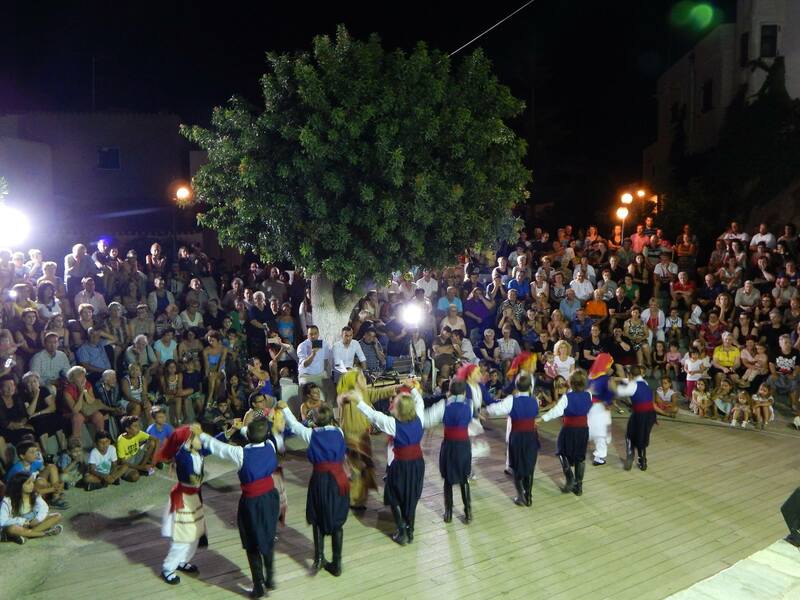 The tsabouna, (bag pipe) the trade mark organ of the Greek Carnival, is the oldest of the traditional instruments of Kythnos. 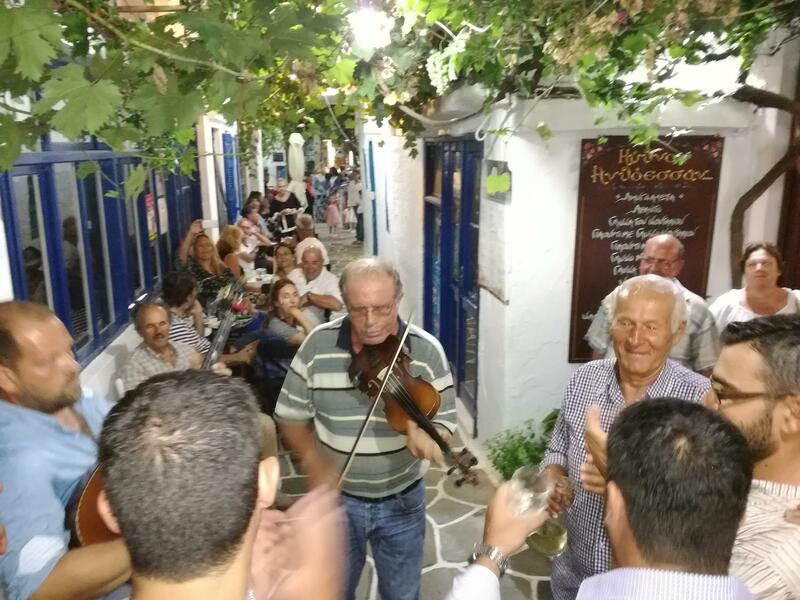 The other instruments which accompany celebrations and festivals all the time are the violin and the lute which are an integral pair, as they say on the island. 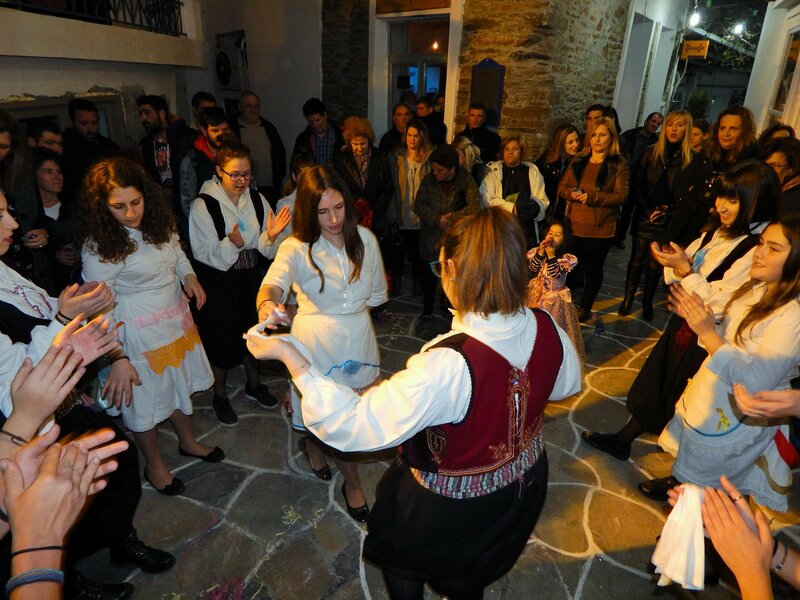 Kalamatianos dance: It is the first dance by which every festivity begins with although ,in recent years, people tend to overlook it. 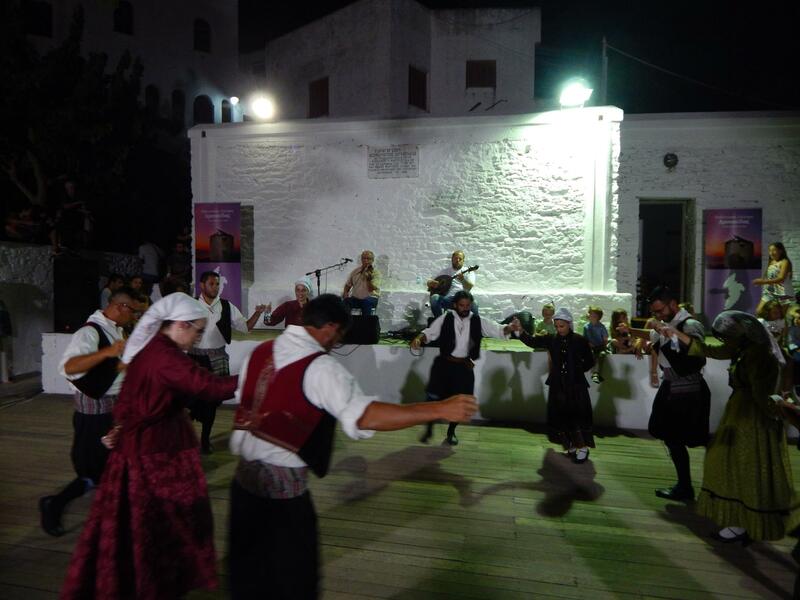 Syrtos dance: After Kalamatianos, the feast continues with Syrtos which is danced in Kythnos with couples (a man and a woman). Balos dance: It follows Syrtos dance and is also danced with a couple. It is a more high spirited dance with nice figures. Karsilamas dance: This dance has an Eastern origin and it is a male dance with impressive figures. 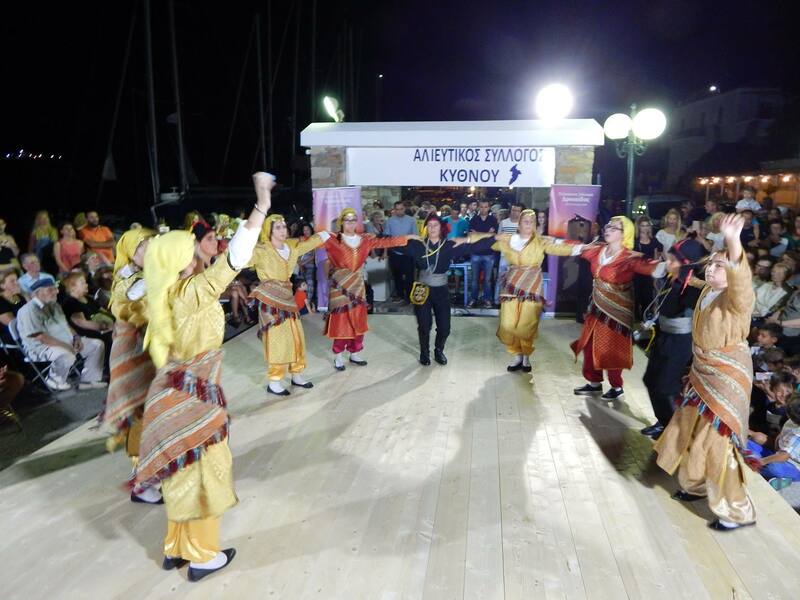 “As soon as the words “Thermia” or “Kythnos” sound in my ears, my mind immediately begins to unravel the great book of the island with its dancers. Eternal dancing – this spectacular vision. As soon as I remember my beloved Thermia, the dance of the villagers of Syllakos comes to mind. The absolute harmonization of movements and music”.